Think about it. Hand-in-hand on a blustery cliff-top, snuggling together in the hearth’s golden glow, savouring seafood delights and taking long strolls along the sand. What could be more romantic than a February stay in beautiful South Devon? With its rustic charm, wild coastline and rolling hills, South Devon offers a Valentine’s escape like no other. A place for you and your partner to unwind, catch up and spend quality time with one another while you enjoy a sumptuous slice of luxury with a Westcountry twist. Wake to the sound of laidback riverside life, breathe in the fresh Devon air, take a boat along the Dart or stride out over the picturesque fields to the warmth of a cosy country pub. Alternatively, find a hidden cove all to yourselves and watch the sun setting over a wintery sea. And later? 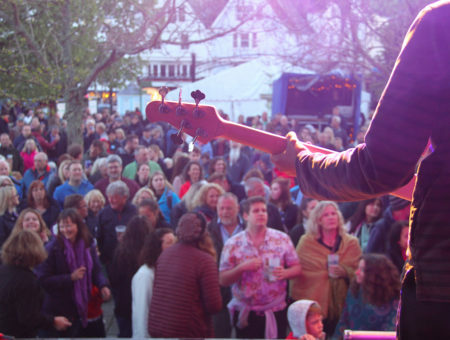 A candlelit dinner or drinks in one of Salcombe or Dartmouth’s finest eateries or bars. The perfect end to an already dreamy Valentine’s Day, certain to get the sparks flying or rekindle old flames. Whether you are looking for a cosy ‘chocolate box’ thatched cottage, a luxury waterside apartment or a beautiful countryside retreat, Coast & Country Cottages offer around 400 self-catering properties for your romantic getaway. 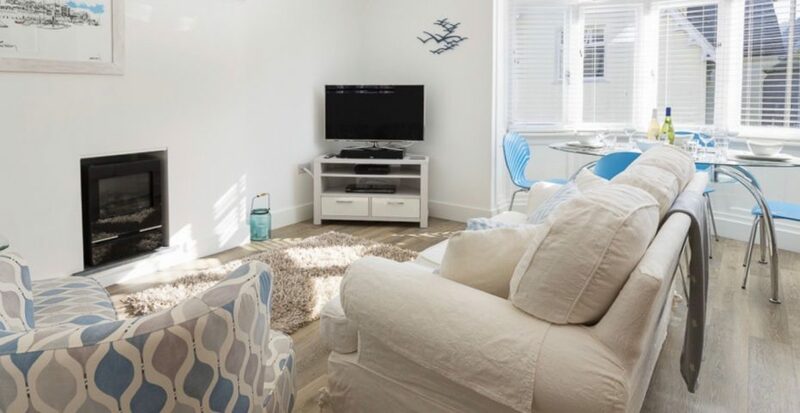 From sea views and riverside balconies, secluded hideaways and private beaches to stylish town centre studios, South Devon is a paradise for those in search of a place to escape. The Garden Cottage is a delightfully presented and tastefully furnished annex to the owner’s adjoining 19th century farmhouse. 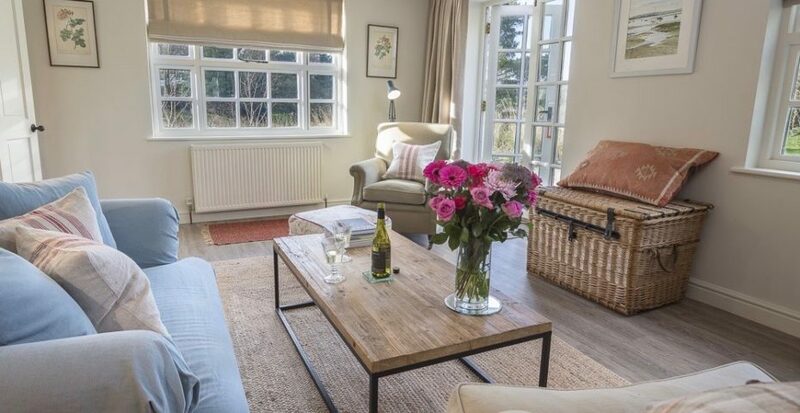 Set in two acres of beautifully designed and informal gardens, and with uninterrupted south west facing views of rolling Devon countryside, the cottage provides a luxurious 5-star retreat for a couple. 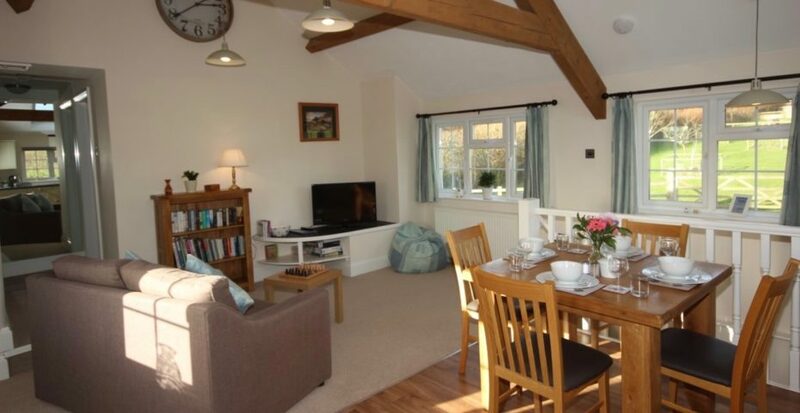 Book a break in this luxury cottage with the one you love to celebrate Valentine’s Day. The Apartment is a modern, bright and airy open-plan property, with the added decadence of an intimate wood burning stove. 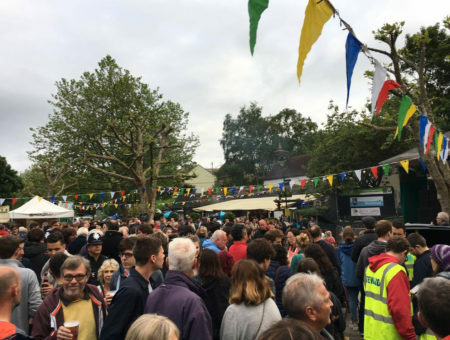 Situated right in the heart of the historic town of Dartmouth, it is the ideal location to explore the array of fantastic of restaurants, pub and boutiques. Enjoy the magnificent natural beauty of the area with spectacular walking routes and a selection of romantic river cruises. There’s nothing more important on Valentine’s Day than spending time together. Step into Devon time and slow down to enjoy the smaller things. Take it slow and make the most of what we call Devon time, after all, what is the rush? Explore the romantic natural beauty that will be on your doorstep; from rugged coastline, sandy beaches and secret coves, to sleepy historic villages set in patchwork countryside. There is something to suit everyone and bring out the romantic in us all. 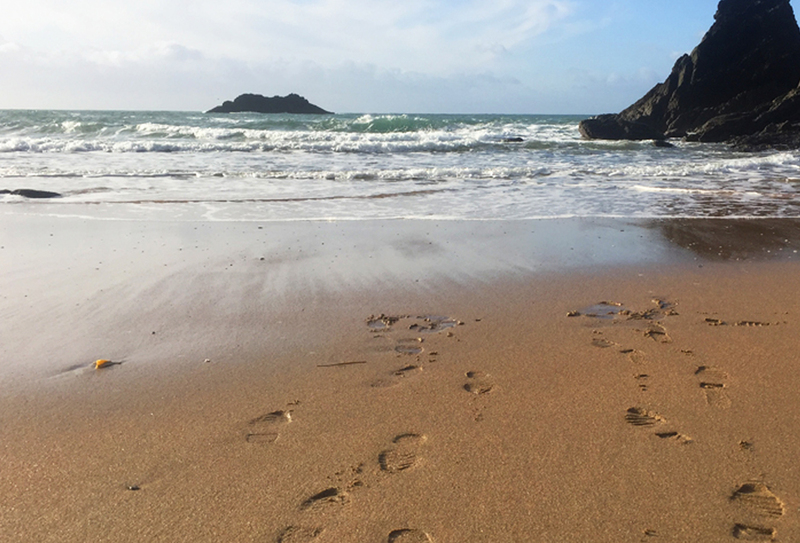 Read more about our best walks in South Devon. Round off the perfect day together by experiencing fleeting beauty when the sun sets the sky on fire. Wrap up in a blanket and be in the moment with your loved on and toast to each other in one of the spectacular settings Devon has to offer. Head down to Thurlstone beach where the seemingly endless horizon creates the perfect backdrop to a special moment together. 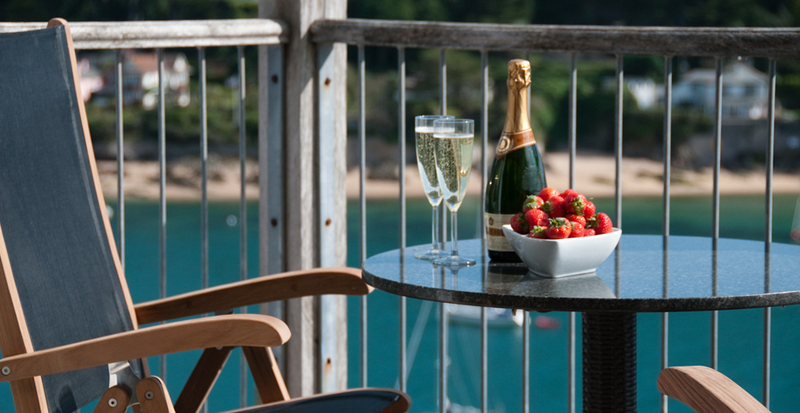 Make your stay extra special by treating your partner (or both of you) to a date in one of the local spas, including the Dart Marina Health Spa and the Salcombe Harbour Spa. Find ideas and inspiration on our blog, Pampering in South Devon: 5 truly sumptuous spas. A multi-award winning beach front cafe bar – open all day, you can expect to find craft beers, live music and fresh fish. Serving specially selected meals this Valentine’s Day, perfect for intimate dining paired with live music by singer and guitarist Davis. The rare opportunity to pre-book is a definite for the special day. Just a stone’s throw from the world class surfing beach, Bantham, this 14th century pub oozes history and tradition. Snuggle up on the fireside sofa, or enjoy a more formal meal in the restaurant. Oysters are famous for their powers of seduction. 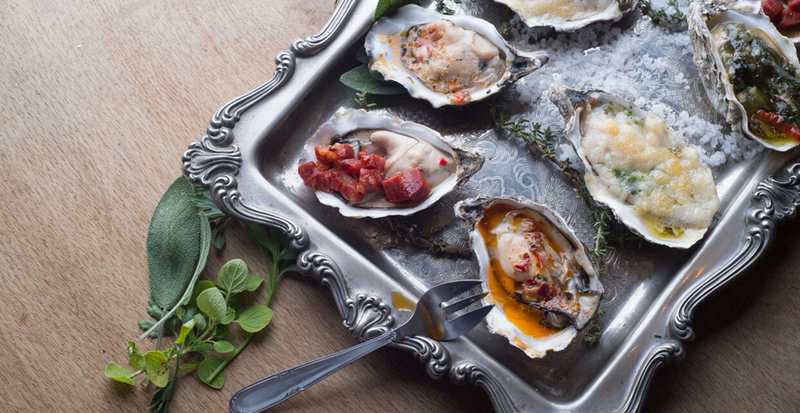 In fact, Casanova was said to start his day with 50 delicious oysters! Dine out on this aphrodisiac of the sea by sharing a candle-lit dinner, superb selection of seafood and a bottle of fine wine. Nestled in-between Slapton Ley and the sea, every table has a panoramic view – renowned for their fish and chips! The National Trust’s Overbeck’s also offer their Valentine’s Afternoon Tea, where you can indulge on a selection of teas and decadent sandwiches, cakes and scones – or if the mood takes you, a glass of Prosecco or Salcombe Gin & Tonic. For more fantastic dining options, read our blog on the best seafood restaurants in Devon . It’s the small personal touches that really make things special. 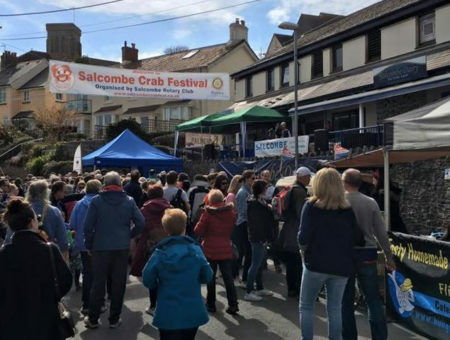 Whether you choose to stay in picturesque Salcombe, historic Dartmouth or in the surrounding South Devon countryside, why not pre-arrange luxurious extras that can make all the difference. Live, eat and most importantly…love! Eat – Why not create a relaxing and cosy atmosphere – turn off the television, put mobile phones out of reach, pour a glass of wine and cook a dinner together. It’s a chance to truly spend time with the people you love and savour good food, without outside distractions. Pretty Local can have a specially selected Valentine’s food hamper, bursting with locally sourced produce delivered right to your door. Live – Nothing says ‘I love you’ more than a bunch of red roses – or perhaps a little less traditional wildflower bouquet. Blackawton Blooms is on hand to surpass expectation with a hand selected and uniquely crafted bouquet. Love – A simple love note stuck on the bathroom mirror or bringing a cup of tea in bed for your love are some of the smallest things that you can do. It doesn’t have to be a grand or expensive gesture, but will show you care. This one is really up to you. Choose wisely, if you haven’t already! Each of our romantic getaways is the perfect bolthole for a Valentines break, so slow down, take it easy and indulge in life’s simple pleasures. 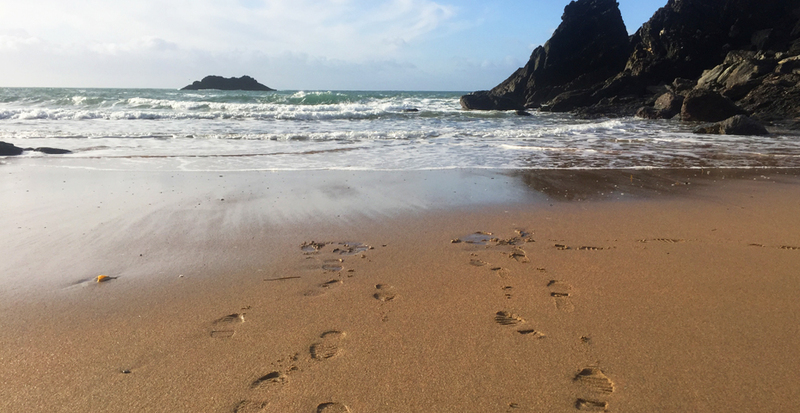 Whether you’re looking for a short Valentine’s weekend away or a romantic week rekindling your love for one another, South Devon is a fabulous destination for couples looking for a little rest and relaxation.